Anil Malhotra is CMO and co-founder of Bango. He has responsibility for all of Bango's marketing activities and its strategic alliances with major partners, including device makers, app store providers and global network operators. He has extensive experience of creating successful partnerships between fast moving technology innovators and major market players in online content and connected devices. Anil took Bango's original business plan to operators and created a sequence of partnerships to build a global mobile payments platform. The Bango Platform is now supported by nearly 100 operators in every region of the world, enabling over 1 billion customers to pay for content with their mobile phone account. He has worked alongside industry associations and regulators in several major markets to ensure that appropriate standards are developed and adopted in support of mobile payments. In anticipation of the shift from messaging-based content to the internet, he developed and promoted the original mobile web best practice guidelines that form part of the US market standards. Anil has developed Bango's relationships with the leading internet providers of mobile content and services, including Facebook, Google, Amazon and BlackBerry. He is currently working with many of these players to standardize an open, industry-wide payments platform that supports all ways of paying for content and services from every device. 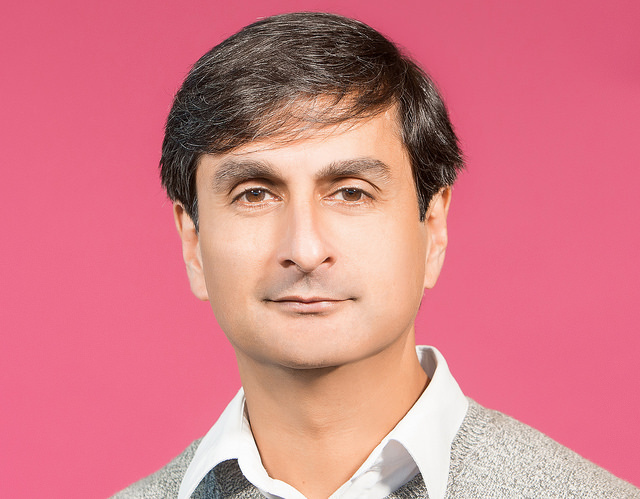 Before co-founding Bango, Anil worked on the development of major partnerships for one of Europe's leading computer games technology developers, which resulted in the licensing of the company’s 'artificial life' technology by the world's leading games publishers. Before that he worked with Bango CEO Ray Anderson to establish a technology called X.desktop, again as a global standard, this time for the user interface on networked computers. He began his career in product marketing at one of Europe's first ever Apple Macintosh value added resellers. Anil holds a Diploma in English Literature from the University of Cambridge, a Bachelor of Sciences degree in Psychology from the University of Wales, and a Master of Sciences degree in Computer Science from the University of Essex.